InnerDrive Ltd considers the protection of personal privacy to be important. 1.4 Our website incorporates privacy controls which affect how we will process your personal data. By using the privacy controls, you can specify whether you would like to receive direct marketing communications and limit the publication of your information. You can access the privacy controls via https://info.innerdrive.co.uk/hs/manage-preferences/unsubscribe. 1.5 In this policy, “we”, “us” and “our” refer to InnerDrive Ltd. For more information about us, see Section 17. 2.2 We may process data about your use of our website and services (“usage data“). The usage data may include your IP address, geographical location, browser type and version, operating system, referral source, length of visit, page views and website navigation paths, as well as information about the timing, frequency and pattern of your service use. The source of the usage data is Hubspot’s analytics tracking system. This usage data may be processed for the purposes of analysing the use of the website and services. The legal basis for this processing is our legitimate interests, namely monitoring and improving our website and services. 2.4 We may process your information included in your personal profile on our website (“profile data“). The profile data may include your name, address, telephone number, email address, and employment details. The profile data may be processed for the purposes of enabling and monitoring your use of our website and services. The legal basis for this processing is legitimate interests, namely the proper administration of our website and business. 2.5 We may process your personal data that are provided in the course of the use of our services (“service data“).The service data may include name, company address, company telephone number, email address, job title, and employment details. The source of the service data is you or your employer. The service data may be processed for the purposes of operating our website, providing our services, ensuring the security of our website and services, maintaining back-ups of our databases and communicating with you. The legal basis for this processing is our legitimate interests, namely the proper administration of our website and business. 2.7 We may process information contained in any enquiry you submit to us regarding goods and/or services (“enquiry data“). The enquiry data may be processed for the purposes of offering, marketing and selling relevant goods and/or services to you. The legal basis for this processing is our legitimate interests, namely the proper management of our customer relationships. 2.8 We may process information relating to our customer relationships, including customer contact information (“customer relationship data“). The customer relationship data may include your name, your employer, your job title or role, your contact details, and information contained in communications between us and you or your employer. The source of the customer relationship data is you or your employer. The customer relationship data may be processed for the purposes of managing our relationships with customers, communicating with customers, keeping records of those communications and promoting our products and services to customers. The legal basis for this processing is consent OR our legitimate interests, namely [the proper management of our customer relationships. 3.1 We will use your personal data for the purposes of automated decision-making in relation to who to contact with regards to our services. 3.2 This automated decision-making will involve analysis of website and email usage. 3.3 The significance and possible consequences of this automated decision-making are we may contact individuals who have shown an interest in our products. 5.1 In this Section 5, we provide information about the circumstances in which your personal data may be transferred. 5.2 The hosting facilities for our website are situated in the UK and Ireland. (a) Personal data will be retained for a minimum period of a month following initial input, and for a maximum period of 2 years following last activity on the account or website by the user. 7.5 You should ensure that your password is not susceptible to being guessed, whether by a person or a computer program. You are responsible for keeping the password you use for accessing our website confidential and we will not ask you for your password (except when you log in to our website). 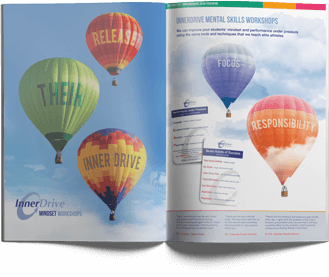 17.1 This website is owned and operated by InnerDrive Ltd.
17.2 We are registered in England and Wales under registration number 5997821, and our registered office is at Unit C, Broomsleigh Business Park, Worsley Bridge Road, London, SE26 5BN. 17.3 Our principal place of business is at 120 Court Lane, London, SE21 7EA. 18.2 Our data protection registration number is ZA255134. 19.1 Our data protection officer’s contact details are: Edward Watson, InnerDrive Ltd, 120 Court Lane, London, SE21 7EA.